Download - Mac / Windows and Linux check towards bottom and select for which operating system (green buttons). You will need to then unzip the file. Vole is a web-based social network that you use in your browser, without a central server. It's built on the power of Bittorrent, Go and Ember.js. Social networks like Facebook provides and collaborates with NSA and make available information to other businesses. Facebook and Google collaborate and get paid by agencies within the US government, like the NSA to expose private data of members of these social networks. In response of a flagrant violation of the constitution, a few tech companies have found a solution, peer-to-peer infrastructure instead of a central server. Facebook is infamous for being a secretive and problematic when it comes to your information and what they do with it. 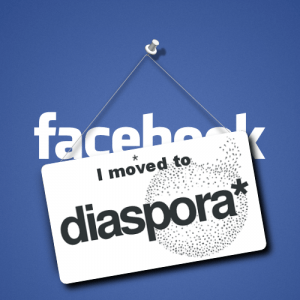 Diaspora* is the transparent alternative. A social networking sight with all of the perks of both Facebook and Twitter, Diaspora* consolidates your news feed to show you stories about all of the #hashtags that you list as an interest. Etherpad provides an open source environment that allows users collective real-time access to documents.